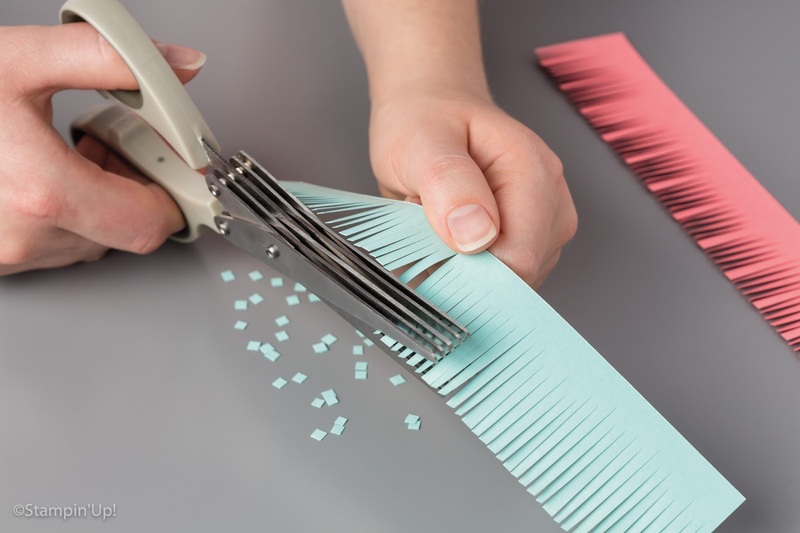 Make fringe, grass trim or turn and cut cris-cross for confetti with just a few snips! So easy with Stampin' Up! 's Fringe Scissors. These work best when you insert the paper to the centre of the scissors and stop cutting before you reach the tip.